...While I didn't want to buy anything at first, my Duffy convinced me to buy the safari outfit. Come to think of it, I'm actually shocked that wasn't the first outfit you bought! Then I decided to head to DL since I won't have much time until I had to return to DCA. On the way, I saw Minnie by the plane next to Soarin. I figured why not since I rarley have any pics with Minnie. Again, I brought Duffy out. I :love: Minnie in this outfit! It would have more detail at TDS, I think, but we don't have anything even kind of like it! ...Then I headed to Mickey's House. Even though the sign said it was 15, it was actually a walk-on! By the time I got into the projector room, the CM already opened the door! I got Mickey in his regular outfit. He was excited to see me and Duffy in similar wear. Cute photos, the forbidden eye. Duffy safari costume is cute. I so wished they make the pockets on his jacket usable. Or at least look like it. Because it is such a cute costume and would come to live more if they did. I think it is nice that the characters take so well to posing with Duffy. He sort of takes the stage because he is just too cute. Yeah, I'm actually surprised how it really does make the character photos especially cute, too, to add a tad or dash of Duff! I do wish they'd raise the quality bar on the US costumes, though. That one had potential. As it stands, Build-A-Bear does it better, although my older BAB Safari is better than the current one too, I think. Thanks! I was think also that there would be pockets on the safari costume. I so want an Indy outfit for Duffy! Complete with a bag and whip . If they do CM costumes again this year, maybe they'll do Indy (Crystal Skull) - they didn't do it for the 25th, so it's possible! 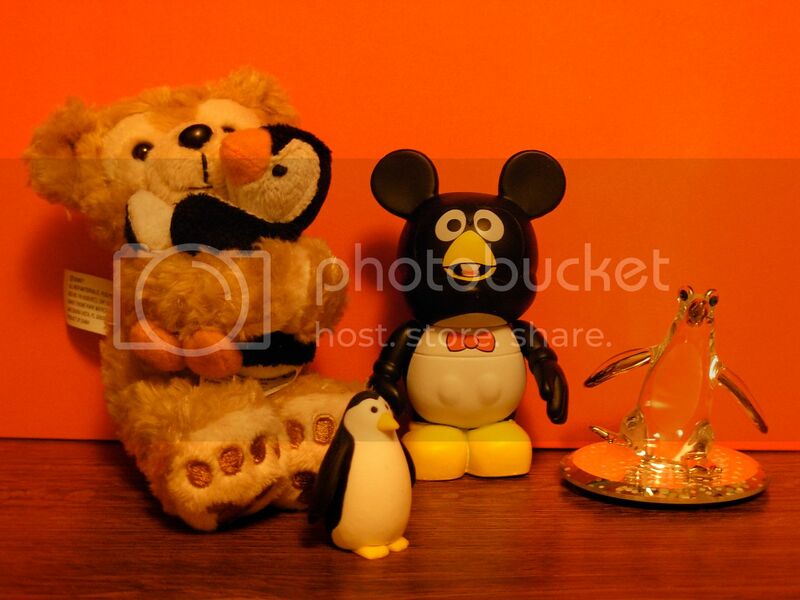 Check out all my new Sweet Duffy 2011 photos on DuffyClo! ThaMms for the photos duffydaisuki. I so love all the decor and the Cape Cod. For those who haven't yer seen Duffy home in Cape Cod it's amazing. The detail leave is like bring on Main Street at DL or New Orlands Sq at DL. But what is better at CC is Duffy!!! 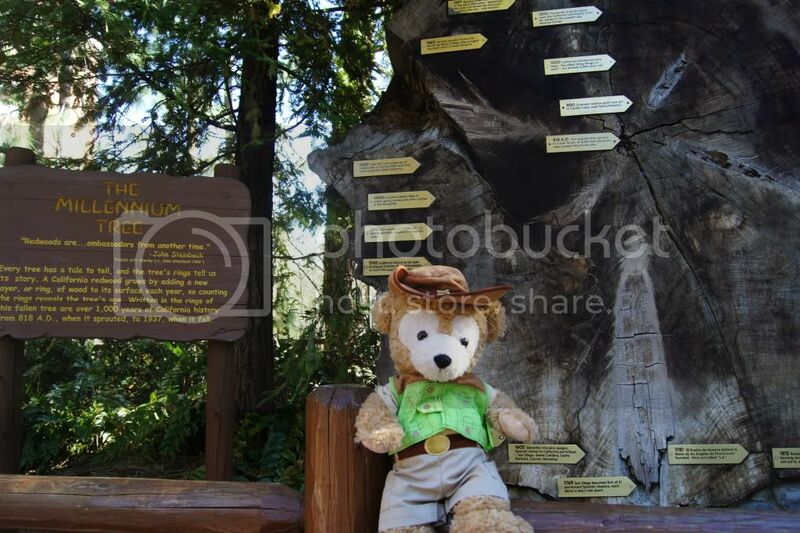 I wish the state parks would do a Duffy land of his own. He take off for sure. If they dud it right. I love the table tops and how they change. I do wonder if guest in the states would respect the table tops and not steal or damage them. Is that a special Duffy that stands up? That is so cool! OMG those pictures on your blog are beyond adorable!!! Got my little Duffy this weekend. Maybe someday I'll get the bigger one. Here he is with some friends. I really love all your photos! LOVE your Shellie Armature, DuffyDaisuki! Did you even put the smile on Shellie? Jealous! I really hope you get to restuf her correctly! I just got my Sweet Duffy costumes and straps! I love them! They are so sooo cute! When I finish my centerpiece I will post photos! My boys are so happy to have their new outfits!! Travis, I love your picture of the new outfits! Adorable! 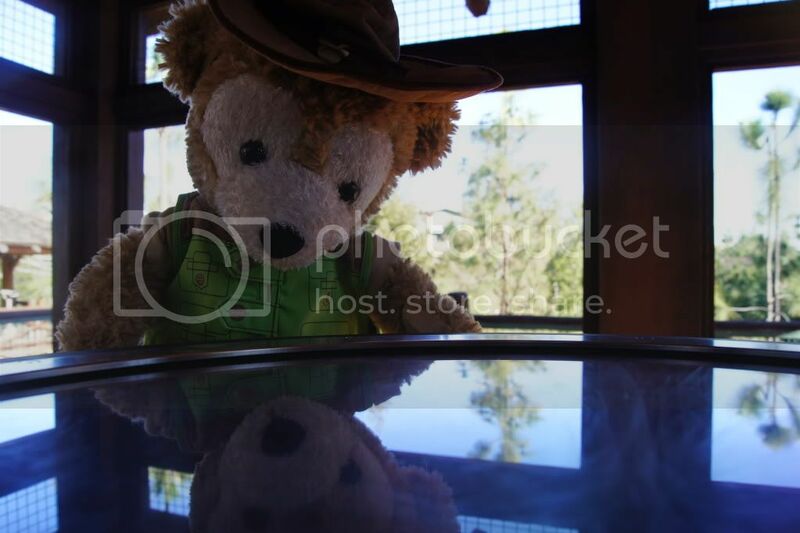 Duffy looking out onto Union Square at the Westin St Francis last weekend. Cute photo. Duffy is such the adventurer, he's always looking out the window. He's plotting his next trip. Went to the Parks yesterday. I have plenty of pics with Duffy to share today! 1. I brought all of the 3 outfits I bought for him with me on this trip. 2. As expected, a line was formed for Duffy. Just like F183 said. 3. First time I brought the chinese out fit since getting it. 4. I did not buy the Buzz outfit as I wanted to see it for myself first. I plan to buy it next time. So as usual, the first thing was to get a WoC FP. Then seeing Trail open and Duffy in his adventure outfit, I went over there. When the park opened, I headed to Silly Symphony Swings, but had a delayed opening (meaning it didn't open with the park), I waited it out and opened up within 20 minutes. He waited with the rest of my stuff in the bins. Since there was barley any people by the time the first round was done, me and others in the ride were permitted to stay for another go. Then headed to MFW and went for the non-swinging gondola. He was next to me as there were 2 people in the gondola with me. Then when it was 11am, I headed to Duffy's Landing and he was there with a line. Duffy was very happy to see me and gave a really nice bear hug. Giving a salute to Duffy! I got more coming up in a part I like to call: Duffy goes East! Nice pictures! Glad to see Duffy is attracting some interest. Sorry it took so long, I had school. So I went to the Lunar New Year event at the Festival Arena and dressed Duffy in his chinese outfit. I first went to Mickey and Minnie, they loved seeing Duffy in his chinese outfit. Chip and Dale were also there. I really like the Chinese new year set! Very cute photos. I can't say I thought about buying the Chinese costume, but after you seeing your photos, I may.